Sprint has started rolling out a new update to Motorola Moto Z2 Force units on its network. 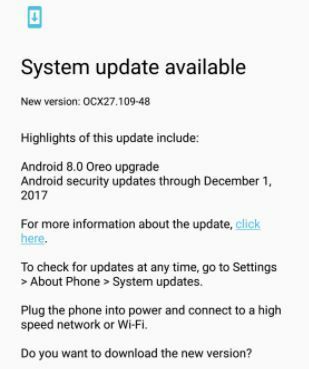 Arriving as software version OCX27.109.48, it's a major update that brings along Android 8.0 Oreo. It's been sometime the roll out began, so it's likely that some units would have already got the update. For those who are yet to see the notification on their handset, the update should be arriving sooner than later. It's worth mentioning that AT&T, T-Mobile, and Verizon variants of the Moto Z2 Force have already received Oreo.